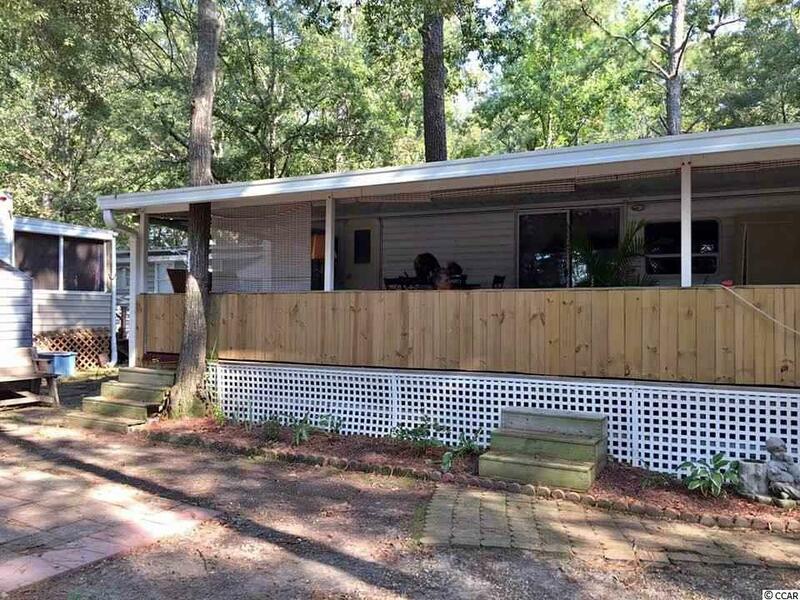 Why pay rent when you can own your own place in the popular KOA Campground in Myrtle Beach? Nestled among the mature trees is this 1 Bedroom, 1 Bath home. Fully furnished. Make plans to see this place and make it your home. Great central location and close to all the Grand Strand has to offer: great championship golf courses, excellent restaurants, entertainment and shopping. Travel trailer with large covered, private deck in the permanent section of the KOA campground. Wooded lot. Deck has outlets, storage, new gas grill, and outdoor furniture set. Three blocks away from the beach. One bedroom with new queen mattress and box springs. One bathroom with sink, house toilet and nice sized shower (accommodates a taller person). Living room with new sofa and ottoman. New 2 person dinette. New Levelor wide slat white blinds on all windows. Nice sized refrigerator, propane stove/oven, double sink, microwave. Propane tankless hot water heater, propane furnace and space heater for those chilly nights. Air conditioning with thermostat and additional built in wall air conditioner in bedroom. Comes with two flat screen TVs. Has an outside metal storage shed.